It is watermelon season and I've been downing at least one per week. 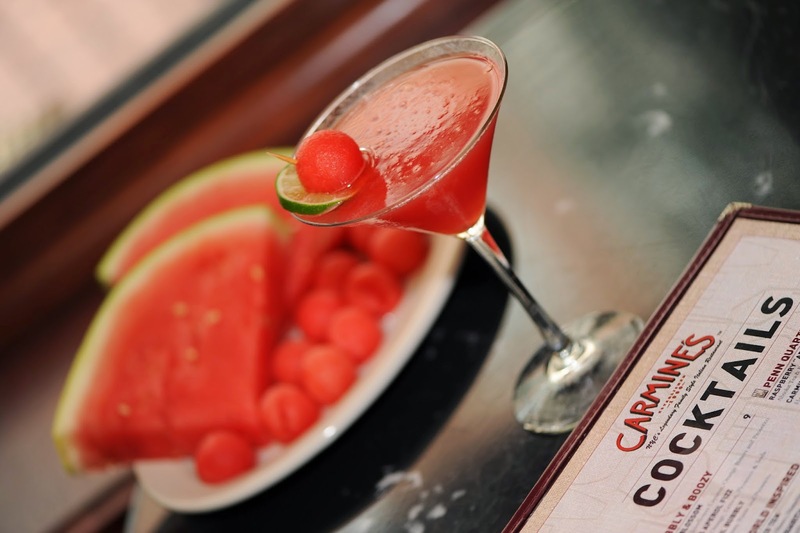 Get in the watermelon spirit with Carmine's Watermelon Cricket ($12). Cool off with gin mixed with muddled fresh watermelon, lemon and lime juice, and a splash of simple syrup and Peychaud’s bitters (boozy bitters from New Orleans). According to Carmine’s beverage director Erin Ward “It’s very refreshing in the heat and humidity”. Really? Well then have a couple!! Shake and Strain Up in Martini. Garnish-1 BIG Watermelon ball and Lime Wheel on a skewer.